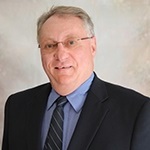 Alan Lemke, MBA, is an accountant with over 30 years of experience.This experience includes individual, partnership, trust, payroll, and corporate tax preparation as well as general accounting work in the manufacturing, consulting, education, retail, and commercial property industries. His education includes a Bachelor of Arts in Business Administration from Milton College and an MBA in Finance from the University of Wisconsin–Whitewater. Alan currently volunteers as the President of the Arts Council of Edgerton and as the Treasurer of the Edgerton Soccer Club. His other interests include skiing (23 years as a certified ski instructor) and music (banjo and guitar with a local church band). During tax season, Alan is our “in house” accountant and is available Mondays, Wednesdays and Fridays (with more options closer to April 15th) to meet with clients at our office. Alan is originally from the Chicago area and currently resides in Edgerton, Wisconsin.